La. prisoner released after 43 years in solitary confinement. How can he cope? On Monday, a federal judge in Louisiana ordered the release of an inmate who has been in solitary confinement for more than 40 years. The situation raises questions about how prisoners cope and transition back into society after long incarceration in such extreme conditions. Albert Woodfox was charged with the 1972 murder of a prison guard and convicted twice, but both convictions have since been overturned. State prosecutors said they hoped to try Mr. Woodfox a third time, but the judge opted to bar that option, citing a lack of confidence in the state’s ability to provide a fair trial. Woodfox, who was originally convicted of armed robbery, organized a chapter of the Black Panthers, a black rights movement, in prison. He and two other African-American inmates, Robert King and Herman Wallace, mobilized other black prisoners in the Louisiana State Penitentiary in Angola, La., against the harsh conditions inside the jail. After a prison riot resulted in the death of a guard and an inmate, all three men were thrown in solitary confinement, where they were kept for decades. The men, known as the Angola Three, maintained their innocence and said they were kept in solitary confinement as retribution for their political organizing. Mr. Wallace was released from prison in 2013, but died of illness just a few days later. Mr. King, who was released in 2001 after 29 years in solitary, has been living outside of prison and actively campaigning for prisoners’ rights, making frequent media appearances. His case provides an important insight into what the future may look like for Woodfox, and what difficulties prisoners face while reintegrating into society after years behind bars. “I get confused as to where I am, where I should be,” King told CNN in 2014, describing his difficulty mastering geographical orientation after his release from jail. Experts agree that solitary confinement can severely impact a prisoner’s mental health. "There are instances of people who literally go insane in solitary confinement – I’ve seen it happen," Craig Haney, a professor of psychology at the University of California, Santa Cruz, who studied the impact of solitary confinement, told the BBC. "That’s an extreme case of somebody’s identity becoming so badly damaged and essentially destroyed that it is impossible for them to reconstruct it." 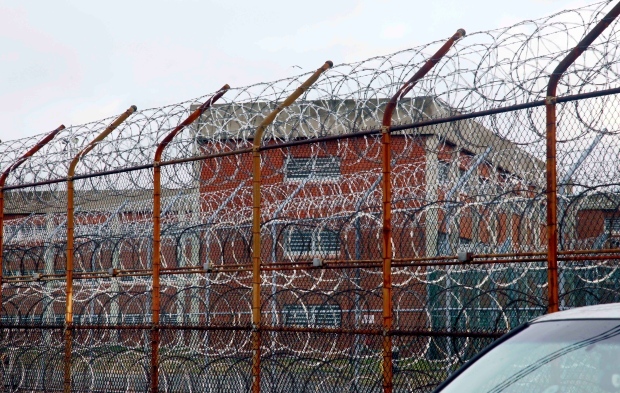 Psychologists have identified tactics that prisoners can use to survive the situation. Cleaning your living quarters, talking or singing to yourself, and finding activities that maintain a sense of physical and psychological identity, and a sense of order and structure, are among the activities psychologists recommend. Despite the difficulties he faces readjusting to outside life, King is an example of a person who maintained his mental health throughout almost three decades of solitary confinement. In an interview with the BBC, King said that he had remained strong, but that it was “scary” to see others crumble from a lack of human contact. Reading books by Richard Wright, Frederick Douglass, and George Jackson, kept his mind active, he later told Amnesty International. Woodfox, meanwhile, has been confined for 23 hours a day since 1972 and has been permitted just one hour a day outside of his cell to “walk along the tier on which his cell is located,” according to court documents from a case that challenged his prison conditions. Amnesty International has monitored the case of the Angola Three for years and characterized the use of solitary confinement in this case as a violation of human rights. On Monday, United States District Judge James Brady ordered the unconditional release of Woodfox from state custody. "There is no valid conviction holding him in prison, let alone solitary confinement,” Judge Brady wrote. "There was an abundance of physical evidence available at the crime scene in 1972, but not one piece of physical evidence incriminated Mr. Woodfox." Speaking in the 2010 documentary "In the Land of the Free," which examines the case of the Angola Three, Teenie Verret, the widow of the murdered prison guard, also expressed a belief in the men’s innocence. "If they did not do this, and I believe that they didn’t, they have been living a nightmare,” Ms. Verret said. Human rights activists say they are anxiously awaiting Woodfox’s release. Tory Pegram of the International Coalition to Free the Angola Three told the BBC that she spoke with Woodfox on Monday night and that he was "excited and nervous." NEW YORK — New York’s mayor on Monday lamented the suicide of a young man who spent three years as a teenager jailed without a trial for a crime he always denied committing. Kalief Browder, who was 22 when he hanged himself at his mother’s Bronx home on Saturday, had been arrested as a 16-year-old in 2010 on suspicion of stealing a backpack. He subsequently spent hundreds of days at the troubled Rikers Island jail facility, where he was kept in solitary confinement and was beaten by other inmates and guards, according to his lawyer. He was released in 2013 and was never tried. Mayor Bill de Blasio said Browder’s story, first detailed last year by The New Yorker magazine, helped inspire his efforts to reform Rikers and the city’s criminal justice system. "There is no reason he should have gone through this ordeal, and his tragic death is a reminder that we must continue to work each day to provide the mental health services so many New Yorkers need," de Blasio, a Democrat serving his first term as mayor, said in a statement. Attorney Paul V. Prestia said on The Huffington Post’s livestreaming website, HuffPost Live, on Monday that Browder’s family is deeply saddened by his death. "It’s shocking. I’m running out of adjectives. And it’s disheartening to be here today," he said. "The extent of the injustice here, it’s a travesty of injustice."